On Day 45 (14th March), the remaining walls were painted, and thus the final colour combination became apparent. The only thing remaining to be painted is the fireplace, which remains our responsibility. 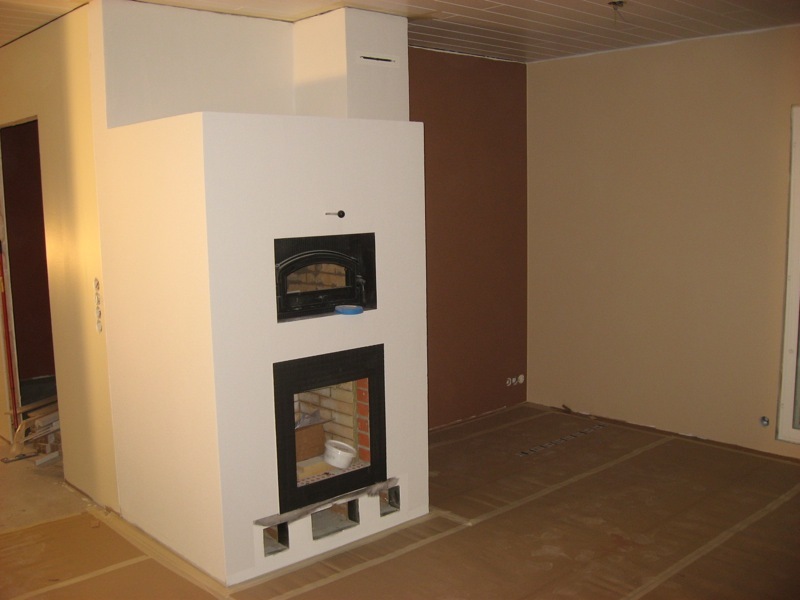 The photo above shows the wall behind the fireplace, which is painted in a nice, chocolaty brown (left: "Etruski", right: "Angora"). 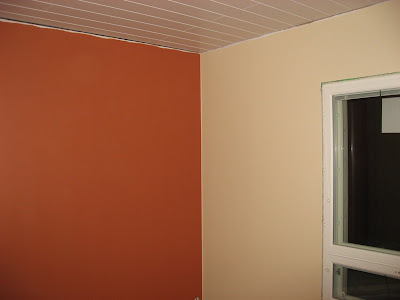 The same colour we chose for the wall behind the kitchen. Both kitchen and fireplace will be have the same colour and create a nice contrast against the dark brown. Our daughter was extremely delighted to see her future room in her dream colours of pink and purple. 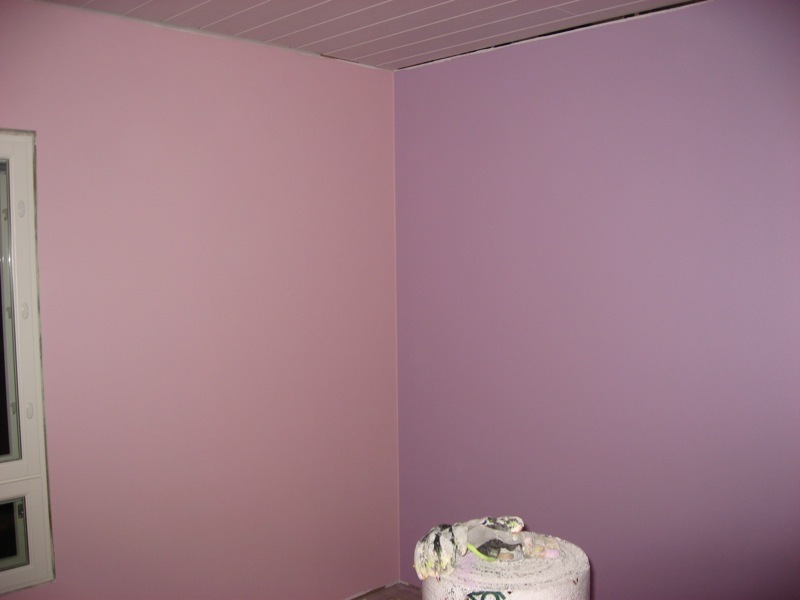 Also here, white furniture will look fantastic on these background colours (left: "Pioni", right: "Hyasintti"). Fresh, and hopefully never tiring is the office room, with a wall in green. 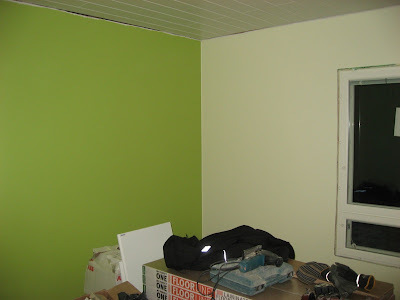 Also the white wall isn't really white, it is just a bit greenish (left: "Wasabi", right: "Seljankukka"). Finally the colours of our bedroom. 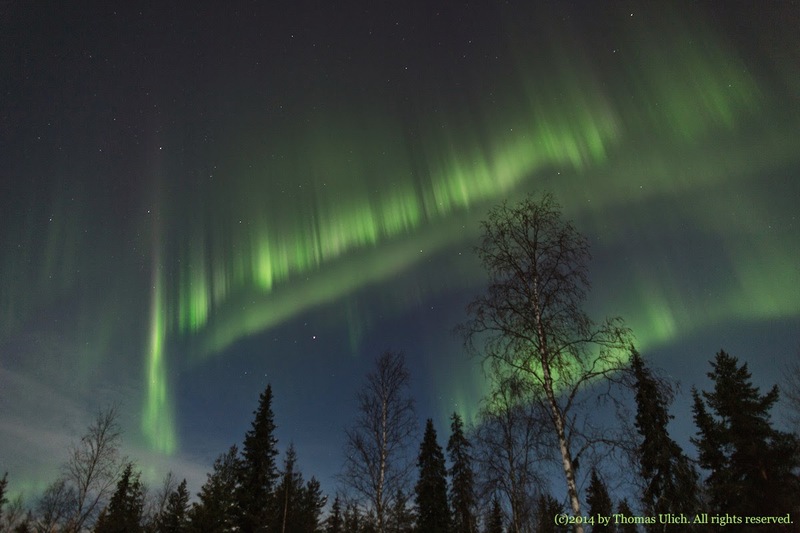 Here we noticed that the computer screens are really not calibrated well enough to reproduce colours properly. On my screen the wall looks red, but in fact it's a much more brown tone, something like deep rust (left: "Inka", right: "Cashew").